Last night, hundreds of PR professionals, agencies and clients gathered at the magnificent Nordic Museum in Stockholm to compete for this year's best PR campaigns. Mynewsdesk, along with Edelman Deportivo, was nominated for "B2B of The Year" and "Content Marketing of The Year". And guess what...we only went and walked away with silver and gold! "The nominations themselves made us feel like winners, but to go up and receive a gold for "B2B of the Year" and silver for "Content Marketing" felt fantastic! 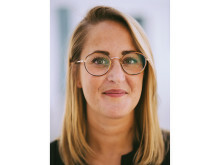 Our campaign, Mynewsdesk Now, is proof that it's totally possible to create both quality and valuable content, despite being a smaller player in the field", says Sofia Juhlin, Nordic Marketing Manager at Mynewsdesk. To obtain a newsworthy angle, we chose to focus on an important social issue in communications - digital exclusion. Here at Mynewsdesk, we're pretty sure that communication can change the world, but the question is how to reach those who have not yet taken the leap onto the internet. Today, over 1 million people in Sweden aren't yet online. And therein lies a large exclusion. We're constantly told that creating content is the biggest challenge, and while we agree that it requires a lot of thought and creativity, we wanted to show how content creation in real time needn't be that complex. With the help of a camera strapped to Kerstin, we followed her on her journey into the internet via the specially set-up Twitter and Instagram accounts. Plus, through the effective use of a newsroom, we submitted blog entries, videos which documented each of her experiences. Our two major areas of focus for the campaign was to exploit opportunities through both our own and earned media. A campaign site, Mynewsdesknow.se, was set-up as a separate site to drive traffic to. During the campaign week, we also used our own social channels and the campaign site to position ourselves and spread the word. Central to the campaign site was our newsroom which offered the latest updates from the campaign in the form of activities or blog entries from the ambassador that we worked with. Equally important, however, was our focus on earned media. We used two different methods to contact the media. Firstly, the traditional way, with the help of our agency's expertise and relationships with local, regional and trade media in and outside Sweden. But also with the help of five ambassadors in communications and those i involved in the organisation SeniorNet Sweden. All five contributed relevant blogs and we were able to take advantage of their large network to help promote our campaign. There has long been talk of the demise of firms and their business models in the digital and social era. This campaign wouldn't have been possible without the help and guidance from Edelman Deportivo. 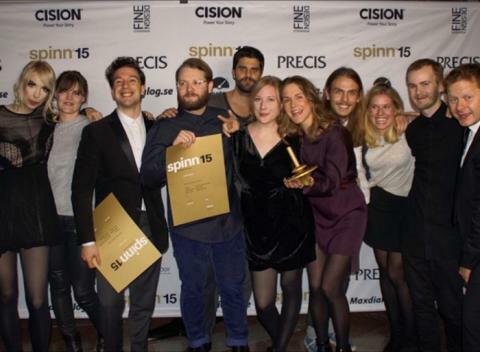 Our agency partner, who we see as one of Europe's most creative PR agencies, exceeded our expectations and has thus restored our faith in agencies! One of the biggest challenges for in-house marketers and communicators is often the lack of resources. But a good agency can provide this. It took us several attempts to find the right creative concept that we felt most excited about.